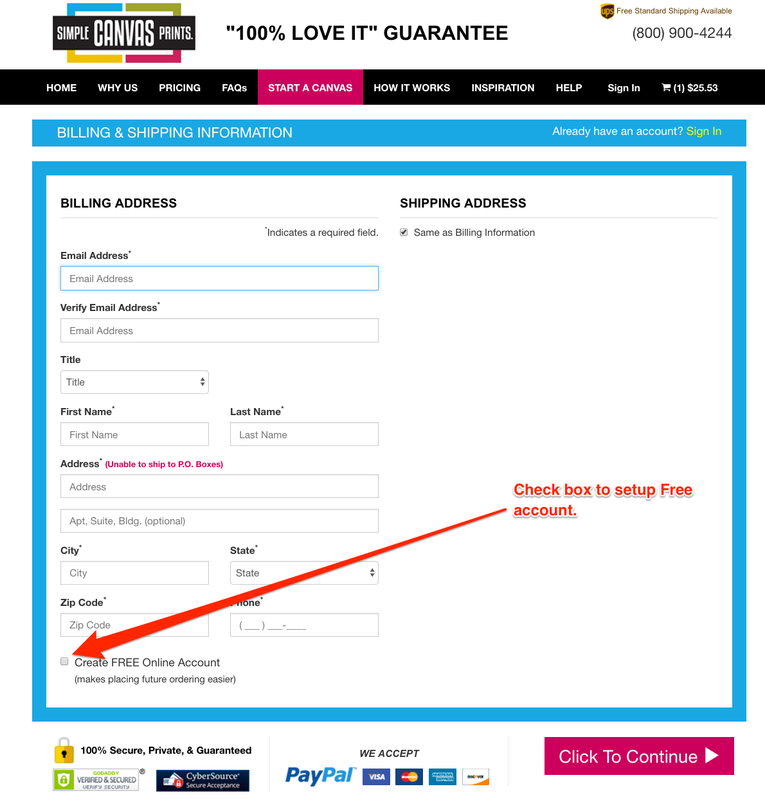 While you do not have to setup an account BEFORE you order, we do make account setup easy. Your account will allow you to track your order, view proofs, and more! A free account is created on our site during the ordering process. We don't have a way to do so prior to ordering. - When you enter your shipping address, at the bottom left of the screen, you will be asked if you want to setup a free account. - If so, check the box that reads "Create FREE Online Account"
Will I get a proof of my order before it prints? Can I change my order's details after I've submitted it? How do I know you’re processing my order? Will I get a receipt? How can I get an additional copy of my past order?